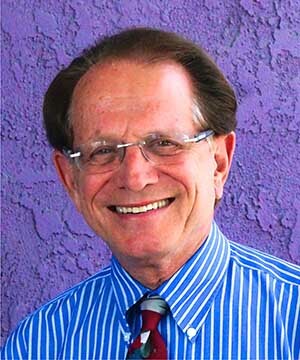 Dr. David Doan was born and raised in Southern California. He received his undergraduate degree from UC Irvine and a DDS degree from University of California of San Francisco. Dr. Doan completed a one year residency program at McClellan Air Force Base in Sacremento. 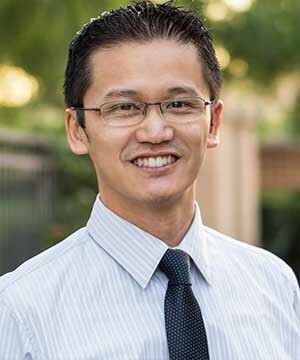 It was always Dr. Doan's plan to practice dentistry in Southern California where he was raised. He is extremely happy to work together with a seasoned veteran dentist like Dr. Barmé who has been in practice for 50 + years. 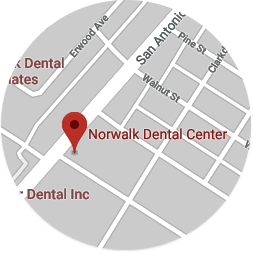 Dr. Doan is very proud of the state-of-the-art technology and modern dental practices and techniques that he offers to our patients at Norwalk Dental Center. When not practicing dentistry, Dr Doan’s hobbies include snowboarding, motorcycling, biking, hiking, traveling, tennis, billiards and anything car related! Dr. Michael Barmé is a graduate of Northwestern University Dental School in Chicago and has been providing caring dental services to his patients for almost 50 years. In our brand new, State of the Art dental facility at Norwalk Dental center, Dr. Michael Barmé specializes in Hi-tech Dentistry. He is a member of ADA-CDA. Our office adheres to all the infection control guidelines. Dr. Barmé has completed extensive post-doctoral training in Cosmetic Dentistry, Dental Implants and Orthodontics. Dr. Barmé has special training in Full Mouth Reconstruction, a process by which a bite is rebuilt in order to restore totally or partially worn dentitions. Specializing in Smile Makeovers, Dr. Barmé creates dream smiles for his patients. Abby has been in the dental field for 33 years and is our Office Manager. She can help you with any questions or concerns you may have. She is Dr. Barmé's right hand in running the front office and you will find her very friendly, knowledgeable and experienced. Yadira is Abby's right hand at the front desk and always answers the phone with a smile. She is very friendly and helpful and will answer any question you may have as well as set you up for all your necessary appointments. Samantha was born and raised locally in Whittier, California. She graduated from Saint Paul High School and has been in dentistry for 6 years. Samantha specializes in insurance billing and collections. She is also a certified dental assistant but front office is her passion. Her attention to detail and organization has made her an asset to our team. She enjoys making others smile and spending time with her family. Martha has been with us for 22 years and has been in the field of dentistry for over 34 years. She is a very experienced and knowledgeable Registered Dental Assistant (RDA) and her skills in general dentistry, dental implantology and orthodontics are outstanding. Always friendly and smiling, she is a great asset to our office. Lilly has been with us over 17 years. She too is a Registered Dental Assistant (RDA) and has been in the field of dentistry for 28 years. She too is very experienced in all fields of dentistry including dental implants and orthodontics. Her experience with all the Britesmile and Zoom tooth whitening systems is exceptional and she will help you achieve the brightest and whitest smile possible. Linda is an exceptional dental hygienist who has been with us for over 18 years. Very dedicated, knowledgeable and friendly, Linda is liked by all our patients and her skills are outstanding. She will take the time to teach you oral hygiene skills as well as help maintain a healthy smile. Dr. Rodriguez is a dentist who works in our office as a dental hygienist. She too is very skilled, experienced and knowledgeable. Being both a dentist and a hygienist add to her abilities to give you a very comprehensive service. Always friendly and smiling, our patients love the results of her treatment.